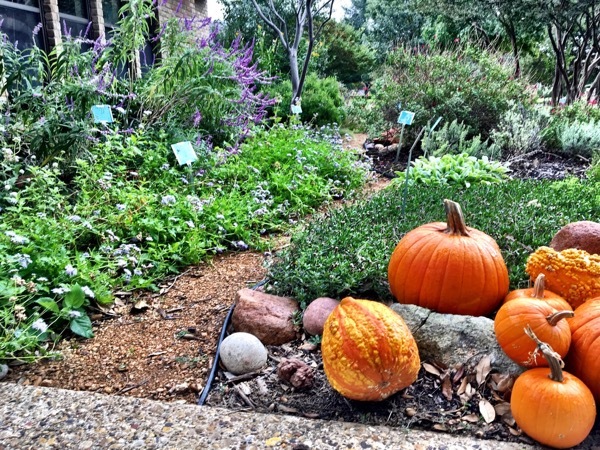 Dallas and Plano are hosting their annual waterwise garden tours in October. Photos courtesy of city of Plano. Can you have an attractive yard in DFW without running up your water bill? Two garden tours give North Texans a chance to check out the yards of folks who have mastered the art of sustainable gardening. The city of Dallas pioneered the event, launching its annual Waterwise Tour 24 years ago. Plano began its own tour six years ago and both cities have transitioned from a spring event to a fall tour in October. 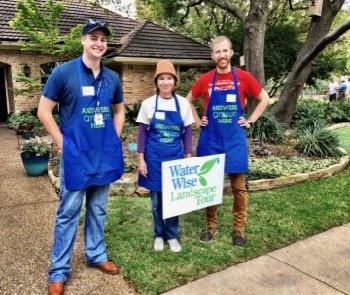 Coming up first, the city of Plano’s WaterWise Landscape Tour will be held on Saturday, Oct. 20, from 9 a.m. to 3 p.m. Like Dallas’ tour, the event is free and self-guided. Mascucci said the purpose of the tour is to provide residents with inspiration. Tour headquarters will be at the City of Plano’s Environmental Education Center and experts will be there to answer questions throughout the day. Initially held in the spring, the Plano Water-Wise Tour transitioned to the fall several years ago and draws around 300 attendees. And while the city of Plano has already locked in six homes for this year’s tour, Masucci said the city encourages residents to nominate prospective yards year-round to be featured in the future. The Dallas Water-Wise Landscape Tour is Oct. 27 from 9 a.m. to 1 p.m. and the city is still accepting applicants until Aug. 31. 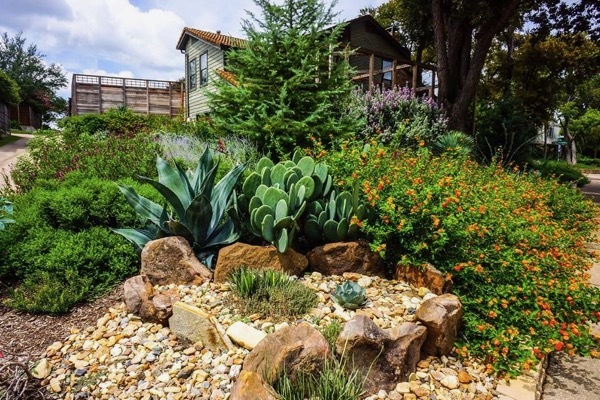 Melinda Magana, outreach specialist for Dallas Water Utilities’ Water Conservation department, said the 24th annual Water Wise Landscaping Tour is open to all landscapes whether residential or commercial, if the property is in the Dallas Water Utilities customer area. For Dallas residents interested in participating, they are looking for great landscapes that conserve water but look attractive. As in years past, the tour is a partnership with Dallas Water Utilities and Dallas Master Gardeners. Like Plano, the city of Dallas switched its tour date from spring to fall to show yards that can survive under the harshest conditions. “We wanted to show landscapes after a Texas drought summer climate,” said Magana. She said the self-guided tour is meant to educate area residents on how to conserve water in their landscapes using drought-tolerant native or adapted plants that require little supplemental watering. The tour has grown in popularity with last year's tour drawing 1,000 attendees. About: Self-guided tour of six sustainable Plano yards and the Environmental Education Center’s demonstration gardens. Tour headquarters: Environmental Education Center, 4116 W. Plano Parkway Plano. Map available online. Above, a stop on last year's Plano tour. About: Self-guided tour of water saving landscapes throughout Dallas. When: Oct 27, 9 a.m. to 1 p.m.
Tour headquarters: 2900 White Rock Rd, Dallas. Maps will be available on the website, closer to tour date. Entries now being accepted until Aug. 31. Rita Cook is a DFW-based award-winning journalist and world traveler who writes or has written for the Dallas Morning News, Focus Daily News, Waxahachie Daily Light, Dreamscapes Travel Magazine, Porthole, Core Media, Fort Worth Star Telegram and many other publications in Los Angeles, Dallas and Chicago. With five books published, her latest release is “A Brief History of Fort Worth” published by History Press. Contact her at rcook13@earthlink.net.